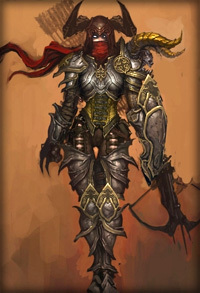 Welcome to the Diablo 3 Demon Hunter Leveling Guide section! The demon hunter class is an agile, high-skilled killer. With an arsenal of deadly weaponry, they scour the land in search of evil. In the resources below, you’ll find countless strategies, tips, tricks and walk-throughs to help you power-level your demon hunter through Diablo 3 quickly and easily. In Part 1 of the Demon Hunter Leveling Build, we will look at the first four skills you should be using when getting started with your Demon Hunter. I explain what each skill does and why it is a smart choice for fast Demon Hunter Leveling. In Part 2, I explore the abilities and skill runes you will be gaining access to while leveling up. As the difficulty of the game increases, so must your mastery of your character. In Part 3 of this build, I show you the best skills to use as you enter the higher levels of Diablo 3. Your Demon Hunter is now gaining access to very powerful abilities and runes, with many possible combinations. It is vital to choose abilities which synergize well with each other, which is exactly what I help you do in this chapter. Cull the Weak – To compliment Entangling shot and Caltrops with 15% slowed enemy damage. Vengeance – Plus 25 max Hatred and gain 20 Hatred and 2 Discipline per health globe. Great info, Adrian. I’m sure all of the other readers will really appreciate the time and effort you put into that. Thanks for sharing it!